You are excited that you bought the first pair of dog clippers and are ready to start the grooming process. Then a question comes into your mind: How do I know that I have found the best dog clippers for the job? Fear, anxiety, and doubt starts to creep in. The following pointers will help you gain confidence in the dog grooming process. 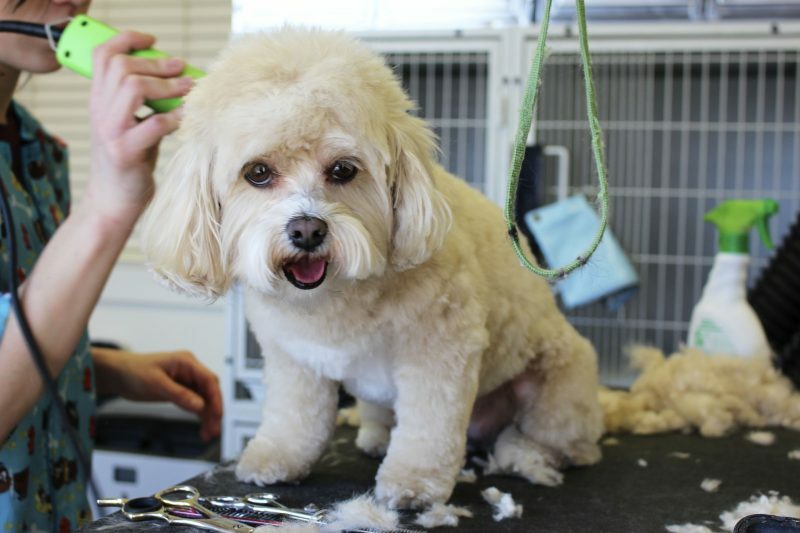 No dog will want to go through the grooming process if they are uncomfortable or scared. You will be fighting and losing the battle as the pet becomes restless. What should you be looking for in the perfect dog clippers for grooming? Is the product lightweight, portable, and easy to handle? Can you maneuver around as you groom the sensitive parts of the skin? Do you have to stop the grooming session to recharge the battery? Do you dread the process because the dog cannot stand the noise? Are the cords standing in your way? As you answer these questions, you will start making the right choices in purchasing the dog clippers. If you have made the right choices, it will be easy to achieve a clear and smooth finish. The blades should be sharp enough to cut the hairs without pulling and creating undesirable lines. You should be able to hold the clippers whilst ensuring the dog is in the right position. The clipper must be held parallel to the dog’s skin. A product that does not allow for this is not worth buying. It is important to go for professional grade clippers even when you are using them at home. Then you can be confident that the clippers will deliver the perfect result in a short time. To ensure your dog is comfortable it is important that the clippers you buy are easy to maintain. The blade should come with a cap and a package to store it when not in use. Further, it should be reasonably priced, so that you can replace it as often as possible. Stainless steel blades make cleaning easier and don’t corrode after cleaning. Note that a clipper should be cleaned after every use and oiled often. There are a range of designs available – ask the retailer for recommendations based on your dog’s breed or type of coat. Some suppliers will even offer left handed clippers. Good quality clippers feature the low and high speed options. Choosing them will give you flexibility required during the cuts. Some of the vendors will offer sets and kits to ensure that you are unlimited. A kit is likely to include the pair of clippers, a brush, length attachments, and a battery. The set may have these components and other related items such scissors, a brush, nail trimmers, tweezers and nail file. The set will obviously be more expensive than the kit. It will, however offer you better value for money. Manufacturers offering you perfect dog clippers are not worried that the quality of the product is poor. It explains why they give you a warranty so that you can have the peace of mind and confidence that you are getting the value for your money. The reliable and credible manufacturers give you at least six months. Some of them will go ahead and offer you money-back guarantee. If few consumers are making positive comments about a product, there is a chance that either few people bought it or that the quality does not meet the desired standards. Why buy the product in a market where you have an array of clippers to choose from? Take a little time to go through the reviews and enquire from the professionals. Always groom the dog when he is relaxed. Get professional advice – try Youtube videos.